We've gathered information from some of the most common and frequent questions we get. Please click on an entry to see the answer. If you can't find what you need, please contact us. Our work revolves around research and application to minimize tobacco and nicotine addiction. Using an electronic cigarette is significantly more effective in treating nicotine and tobacco addition than nicotine gum, pills, nicotine patches and similar methods. Vaping is the most effective method because cravings are eliminated through the nicotine in eliquids. Also, an electronic cigarette provides full relief against the ingrained habit formed over years holding a cigarette between your fingers and systematically taking it to your mouth. We work with and around these facts to deliver the most effective treatment for tobacco and nicotine addiction. Our commercial activities involve manufacturing and international retail and wholesale operations. Our products are fast turnaround items with constantly growing international demand. Please click here to view our products or here to contact us about wholesale accounts or distributorships. Commitment and conviction. We are a group of pharmacists and chemical engineers who believe e-cigarettes are more successful than nicotine patches, nicotine gum and pills in treating tobacco and nicotine dependence. As a business, our foremost concerns are quality and safety. Every pharmacig™ product undergoes extensive quality control checks to ensure safety and high quality. Our eliquids are ISO 9001 certified for ingredients, manufacturing and packaging. We offer an extremely competitive value proposition that includes not only safety and quality, but also affordable prices and knowledgeable customer support. Do you have a quality control system in place? Not only do we have a rigorous quality control system for physical products, we also use Six Sigma and Total Quality Management principles in managing the company. We collect random samples from each production run and test against real and hypothetical variables to ensure every product works exactly as it should. In addition to in-house checks, we also conduct periodic research on real world vaper experiences and emerging quality control methods. What is an electronic cigarette? How does it help my tobacco addiction? Simply put, an electronic cigarette breaks down into a battery and an atomizer. It's function is to vaporize special liquids called electronic cigarette liquids or e-liquids. E-liquids come in many different flavors and can contain nicotine depending on your choice. When you draw on an e-cigarette, it starts producing vapor which you inhale. This act is called vaping. Vaping is a very successful alternative to smoking because it closely resembles the taste and feel of real cigarettes. As a matter of fact, vaping is so effective, there are literally millions of people across the planet who have successfully quit smoking with electronic cigarettes. Not only do people quit using e-cigarettes, they quit for good. No more cravings from lack of nicotine A great aspect of electronic cigarettes is that you can choose to vape with liquids containing nicotine. This is half the reason why e-cigarettes are so successful - you experience no cravings whatsoever. Not only can you get your nicotine, you can get it whenever you want. The risk of going back to cigarettes because of cravings is reduced to zero. Helps combat physical and psychological conditioning The physical habit of holding a cigarette between the fingers and taking it to your mouth is a strongly ingrained habit. It's so strong, many smokers wanting to quit can't do it simply because they can't handle the psychology of having their hands empty. Enter the electronic cigarette. An e-cigarette is held between the fingers and systematically taken to the mouth just like a normal cigarette. As such, electronic cigarettes are the perfect substitute for smoking. How exactly do I benefit from vaping? Less Harm Top-tier organizations such as Public Health England have conducted evidence-based studies that have shown electronic cigarettes are 95% less harmful compared to normal cigarettes. Vaping is an extremely successful alternative to smoking and very effective in terms of harm reduction. No More Cigarette Stench Cigarettes smell absolutely terrible. On the other hand, vaping involves an endless procession of heavenly scents. Electronic cigarettes emanate a fragrant odor that smells like whatever you want, from strawberry milkshakes to bubblegum and everything in between. Saves Money Compared to the price of cigarettes, you can save a lot of money by vaping. Eco-Friendly Vaping does not produce ash, cigarette butts or empty packs. As such, electronic cigarettes are great for the environment. Fire Safety There is no burning involved with electronic cigarettes. This means there is no chance of accidentally starting a fire. Social Advantages Using an electronic cigarettes tells the world you are trying to quit smoking; this is appreciated and looked upon favorably by everyone. Vaping also looks good in general and serves as a status symbol, it's a great way to draw attention. Can I really quit smoking with electronic cigarettes? Are electronic cigarettes for everyone? If you smoke cigarettes or use tobacco products in other forms, you should seriously think about switching to vaping. Electronic cigarettes offer a great opportunity to increase your lifespan and save a lot of money. Electronic cigarettes are not intended for and should not be sold to or used by minors, people with asthma or high blood pressure, diabetics, people with heart disease or the risk of heart disease, pregnant or breastfeeding women or people suffering from depression. For further information, please consult a physician. No, electronic cigarettes do not produce smoke, only vapor that looks exactly like cigarette smoke and dissolves in seconds. This means there is no danger of second or third-hand smoke. One of the most important aspects of e-cigarettes is that vaping does not produce any tar or carbon monoxide, the main chemicals that cause cancer. Also noteworthy is the fact that electronic cigarette vapor does not contain thousands of harmful chemicals like cigarette smoke does. What is the legal age to buy e-cigarettes? The legal age to buy electronic cigarette products depends on your jurisdiction. As a rule of thumb, if you can legally buy cigarettes, you can buy electronic cigarettes. What is electronic cigarette liquid (e-liquid)? Electronic cigarette liquid (also known as liquid, e-liquid, juice, e-juice) is a special fluid used in electronic cigarettes - it is not possible to vape without liquid. The atomizer turns e-liquid into vapor which you inhale. There are many different kinds of eliquids; they vary in taste, throat hit and nicotine levels. Nicotine While there are liquids without nicotine, most liquids are offered in many different nicotine levels. In normal cigarettes, nicotine is released as a result of combustion (when tobacco burns). With electronic cigarette technology, nicotine is released when e-liquid is atomized into vapor - there is no burning. Aroma/Flavor Aromas give eliquids their distinctive taste. Nicotine by itself is taste-neutral so flavors are added while making eliquids. Since you can add any flavor you want, eliquids can taste like anything you want - a real cigarette, a Pina Colada, Belgian chocolate...there is no limit to your pleasure. Diluent Propylene glycol (PG) and vegetable glycerin (VG) are used in eliquids for two reasons: to adjust the relative strengths of nicotine and flavouring and to transmit nicotine and flavours through vapour. PG and VG is important in changing eliquid strength, also in determining how much vapor it gives. PG is the abbreviated form of propylene glycol; it is used to make eliquids and has a neutral taste. Liquids with higher PG ratios are felt harder on the throat. VG is vegetable glycerin, another compound also used in making ejuice. Higher VG ratios mean the vapor is thicker and sweeter. PG and VG are classified as generally recognized as safe (GRAS) by the US Food and Drug Administration (FDA) and the Environmental Protection Agency (EPA). A throat hit, also known as a throat kick, is how the vapor feels on your throat in terms of strength. It is one of the most important parts a good vape and can be light, medium or strong. Some liquids are meant to have a lighter throat kick, while others are specially made to pack a throat punch. There are four main aspects that determine the relative strength of a throat hit. Three of the largest factors are nicotine levels, PG and VG balance, and the overall quality of the eliquid. To a lesser extent, equipment also plays a role in determining the strength of a throat hit. For beginner vapers, we always suggest experimenting with different nicotine levels because nicotine is a personal preference and only you can judge accurately which nicotine level works for you. If you smoke more than 20 cigarettes a day, starting vaping with zero nicotine liquids will not work. On the other hand, if you smoke only 3-4 cigarettes a day, zero nicotine liquids might work for you. Determine how many cigarettes you smoke daily and try different nicotine levels until you find a level you are comfortable with. How should I store my liquids? Store your liquids in a cool and dry place not directly exposed to sunlight. 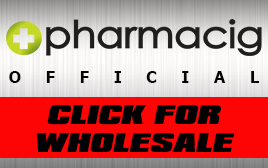 We offer great wholesale and distributorship opportunities. We are also open to feasible business ideas that provide mutual growth. Let us know what you’re thinking and we can explore options beneficial for everyone. Contact us for a fair, honest and mutually profitable partnership. We're an email away, just contact us and we will reply with useful and timely information.